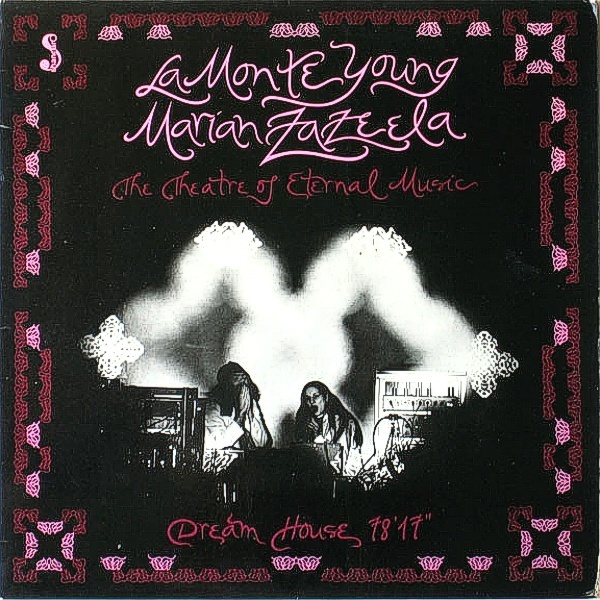 Necessary, seemingly official reissue of a truly seminal, minimalist totem, Dream House 78’17” (1974), by La Monte Young & Marian Zazeela with companions from Theatre of Eternal Music; Jon Hassel and Garrett List. 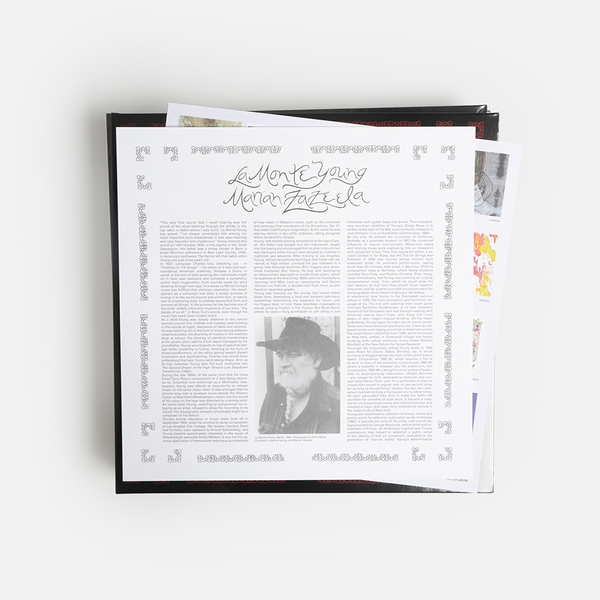 An important and early part of La Monte Young’s succinct, near-sacred catalogue of solo, longform recordings to legitimately reach vinyl (you could count ‘em on one hand! ), this pressing of Dream House 78’ 17” is an understandably precious and ineffably wonderful thing of beauty. It contains two steeply immersive, side-long compositions in the searching tradition of Young’s obsession with sustained frequencies and drones, which was established through his earliest fascination with environmental sound (check for 1962’s Second Dream of the High Tension Line Stepdown Transformer) and the Hindustani kirana vocal tradition of Pandit Pran Nath, to soon encompass his parallel obsession with blues drones, whilst also distilling his research into Webernian 12 tone stasis and studies of Cage, Stockhausen, and intersections with the emergent Fluxus movement. 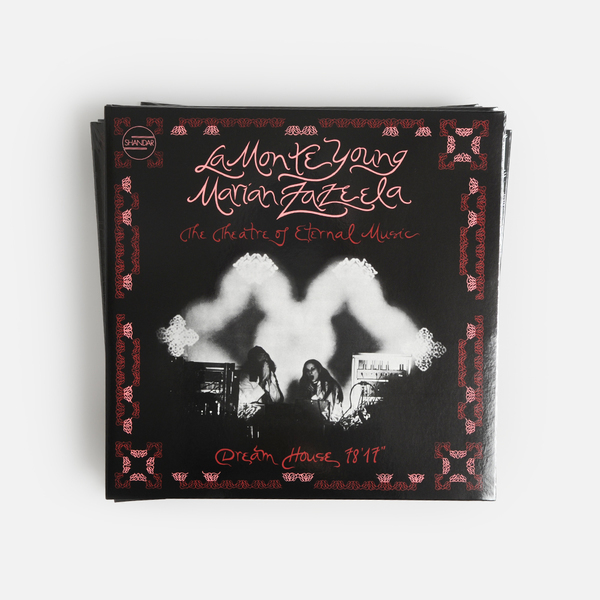 From that rich mix of far-flung influence, Young realised a preternatural purity of sound heard in the preceding The Black Album (1969), his first release, and explored here in contrasting sides of just under 40 minutes in length, each. 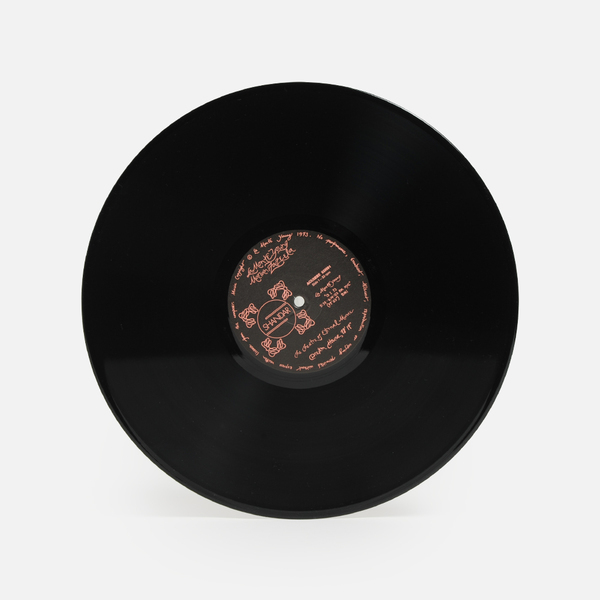 The A-side started out as a shorter section of a piece begun in 1966, and renders Young’s rapturous vocal performance in the kirana tradition of Pandit Pran Nath, matching both his vocal and that of partner/collaborartor Marian Zazeela’s ululating cadence with slow sine wave oscillations and the soft, brass coloured timbre of Garrett List (trombone), and future new age pioneer Jon Hassell (trumpet) until we’re intoxicated and floating 3 feet off the ground. The other side’s Drift Study is a timeless example of Young’s most minimalist thoughts in sound. 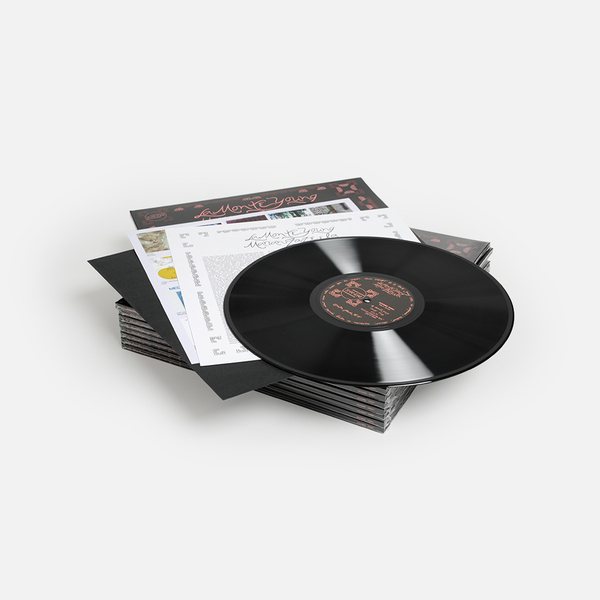 For just under 40 minutes he alchemises 3 sine waves “determined and tuned by La Monte Young using oscillators custom designed by Robert Adler to generate specific frequencies and voltages of great stability”. As there is no harmonic content to pure sine waves, you’re encouraged to cut the treble on your pre-amp/mixer to filter out surface noise, and then free-float in their sublime, weightless lattice, exploring the morphing space between. 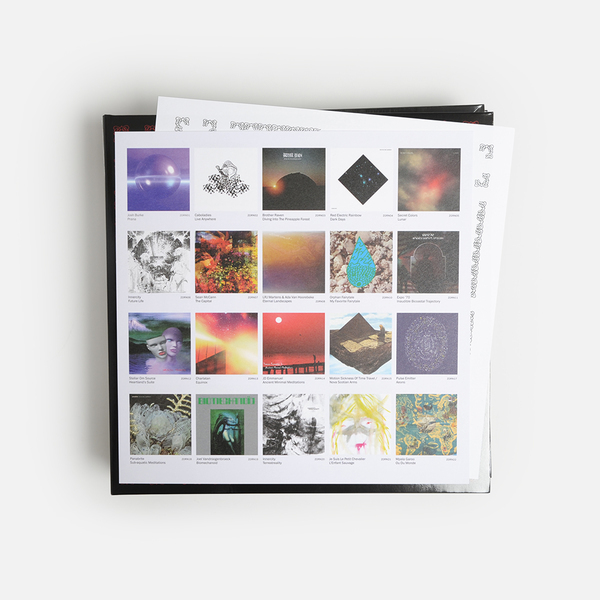 It’s maybe not for everyone, but it’s not hard to hear why this is an historic and pivotal album of the late 20th century avant-garde; one which has arguably transcended its boundaries to inspire countless artists ranging from Eleh and Oren Ambarchi to the likes of HTRK or Mika Vainio ever since. 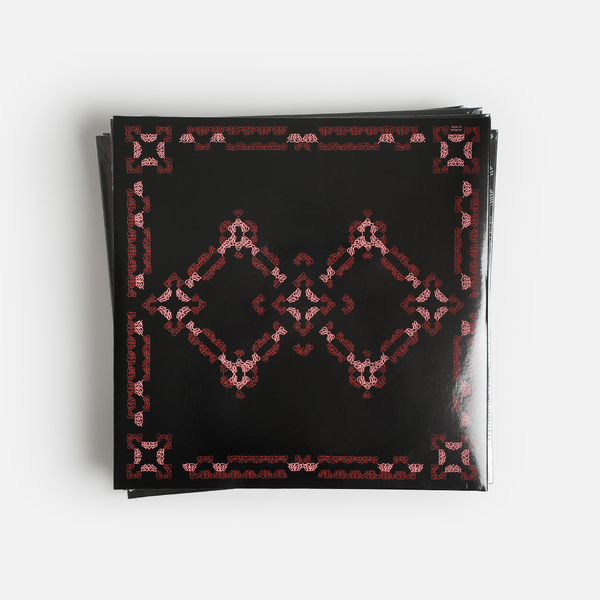 First ever vinyl reissue of a highly sought-after, minimalist classic. 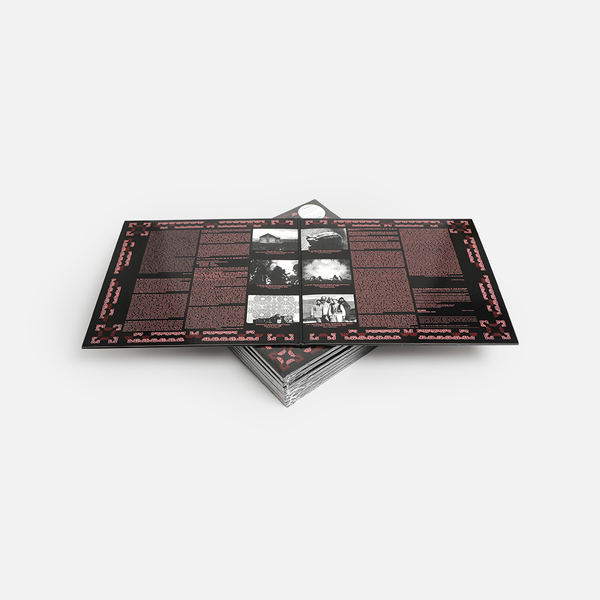 Gatefold jacket includes extensive liner notes by Julian Cowley plus digital download card.